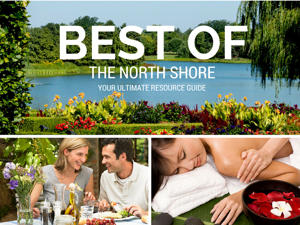 New Trier Township is located on the North Shore of Chicago and is comprised of five villages: Wilmette, Winnetka, Glencoe, Northfield and Kenilworth, as well as a tiny portion of Northbrook and Glenview. The Township is mainly known for its high school, which is one of the top-ranked public high schools in the country. Many people move to the area specifically so that their children can attend New Trier Township High School. New Trier High School (District 203) is a public high school on Chicago's North Shore and is one of the top ranked open enrollment high schools in the country. It serves students in grades 9-12 from six feeder schools in surrounding communities. The school has two campuses. One is attended by ninth graders and is located at 7 Happ Rd. in Northfield, IL. Upperclassmen attend the Winnetka campus, located at 385 Winnetka Ave. in Winnetka. Total enrollment for New Trier is approximately 4200, or about 1000 at each grade level. Although the school is large, the student adviser system provides a small-school atmosphere within a large school with outstanding opportunities and facilities. Each student is assigned to an advisory group of the same 25 students for the four years of high school. They meet daily together with a faculty adviser who provides academic and personal guidance to each student. Academics at New Trier are rigorous but also focused on providing the appropriate level for each student. In addition to the core curriculum of math, science, English and social studies there are extensive opportunities to study music, applied arts, foreign languages (7 languages are offered), integrated global studies. 98% of New Trier graduates go on to attend college, many at Ivy League and other top colleges and universities. There are over 150 extracurricular activities, from varsity and intramural sports to performing arts, social service clubs, international clubs, yearbook, student senate and a myriad of special interest clubs. There is literally something for everyone here. New Trier's 35 interscholastic athletic teams have won more state championships than any other high school in Illinois. Newsweek ranked New Trier as one of the top 20 open-enrollment high schools in the U.S. in 2016. Many famous people have attended New Trier High School, including actors Bruce Dern, Charlton Heston, Rock Hudson and Ann Margaret, musician Pete Wentz, author Scott Turow, restauranteur Charlie Trotter, Chicago Mayor Rahm Emmanuel, NFL great Mike Pyle, NHL players Tommy Wingels and John Moore and Saturday Night Live comedian Beck Bennett. Houses in New Trier Township range in price from $300K to $13M. Condos and town-homes are priced between $100K and $1M. Search homes over $1,000,000 in New Trier. Search all condos and townhomes in New Trier. Call the Come Home North Shore Team at 847-881-6657 to discuss your real estate options when buying or selling on Chicago's North Shore.